We come through at this hour of your time to share with you some life-changing insights that will, if you allow them completely transform the course of your life. We have much to share with you today and are so honoured that we have this outlet whereby we can transmit these important higher dimensional messages to you dearest lightworkers, Blu-rays, twin flames. We would like to share an observation with you all, to do with the passing of the artist who was formerly known as Prince….. Prince’s passing is having a huge life-changing and monumental effect on the heart chakra of Gaia and her inhabitants, and is facilitating an opportunity whereby hitherto until now particular ascension doorways are now swinging open in many of your timelines, due to the establishment of Prince taking his rightful Place again back amongst the stars…... 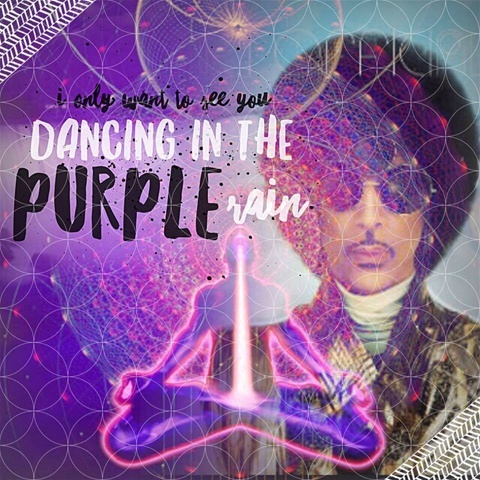 Prince is a high degree Avatar and as such is able to be there for all of you who call his name and play his music with the intention to connect with him. He is an omnipresent angelic, who is now willing and able to rush forward whenever he is called, to offer the love and support that you personally and individually require…... We encourage you to call upon him at anytime and he will come, for his frequency is such that his soul is contracted to work as a bodhisattva during these pivotal times of Earth's transforming frequency timeline…..
We would like to take a moment to speak to you about some aspects of the law of attraction which have not been shared by other teachers previously, but yet are essential to your empowerment with regards to the successful manifestation of your hearts desires….. Everything and we mean everything you have prayed for, that you wish for, and that you desire already exists vibrationally in the universe, Existence is always saying YES to your desires, and this truth is hinted at in the lines from the bible that say “Ask and it is given”.... We would like to take this moment to remind you that despite what the mainstream advocates to be the true nature of reality and the universe, the truth is we are all coexisting very much in a vibrational universe. How this translates to your own personal life is that everything, and we mean everything that you desire already very much exists on a particular energetic frequency band…. Most people on their spiritual path are drawn to the law of attraction and it's promise to deliver them their heart desires, but often times one's prayers remain ever elusive and frustratingly out of reach, this is due in part and is often times a reflection/exact mirror of your own vibratory frequency which is not in resonance or identically matched, to the frequency of your hearts desire…... Oftentimes initiates will consciously be doing all the right things, and saying all the right things to attract their hearts desires to them but with still no show, and this is because what is really truly being played out here, and reflected to the initiate is the actual vibratory resonance of one's unconscious belief system, which often times is very much out of sync and not in tune with one's heartfelt desires…. Most people born into this world, are still experiencing a primary soul shock from their perceived separation from Mother Father God and from there perceived separation from their beloved twin flame, this is an extremely deep trauma that many, especially light workers are carrying in the deep vortices of their unconsciousness…..When one has an experience of abandonment and separation, this leave extremely deep scars within the realms of one's unconsciousness and inspires a powerful belief system that allows thoughts such as “No one loves me”, “I'll never get what I want”, “I'm all alone”, “I'm unlucky” excetra excetra to completely govern one's experience of reality…….These thoughts create a belief system, and this belief system is in charge of what we could call our vibration, knowing this it is possible to then see how the vibrational discord between one's deep unconscious beliefs and the vibration of the actuality of one's heart's desires is being played out in what you would call your life experiences……. Beloveds as many of you are aware, there are currently five planets in retrograde, and despite how this may sound these transits have been sent to deeply serve you and support you to have the necessary breakthroughs you have all been praying for. Retrogrades are deeply complex, but one aspect of them is their ability to take you into the realms of your unconsciousness, to face once and for all the belief systems that truly are at the helm of all of your manifestations on earth…..
Greetings of the most high in this most auspicious moment within this timeless eternity, whereby the Full moon has just passed in Taurus and Mercury is no longer retrograde, what a ride these last few weeks have been, with five planets in retrograde we have witnessed some of the most darkest, most insidious, of false programs being faced and transformed and upgraded to a higher frequency. I would like to share this transmission today as eye Jen McCarty the receiver of these sacred messages, to connect with you all my many followers as me, as Jen many of you whom I have met now in the expanded landscape of higher dimensional consciousness through Skype sessions others who have contacted me via email, others through my retreats…... There really is so much to share with regards to the most recent photonic upgrades…. this has been a time of deep cleansing of the oldest residues at the bottom of the barrel, and It would seem that now really is the time to step forward to fully embody the higher christed being that we have all come here to be. I would like to share with you all that spirit has guided me to start a full spiritual conversation on Instagram and I invite you to follow me on there under the name of Avatarguruji33 ( https://www.instagram.com/avatarguruji33/?hl=en ) I have been guided to create 5D Memes that actually bring about predestined upgrades within your vibrational field, and I have also been guided to share short videos containing visualisations to bring you into 5D consciousness, and videos whereby I will be sharing tools to assist you in the removal of outdated templates from all your energy bodies and the implementation of upgraded templates into all your energy bodies….. This is a very exciting journey for me to be on now as it is vital this conversation makes its way rapidly into the mainstream consciousness. Please join me where we will be starting a 5D conversation to actively engage humanity in the reality of upgrading our consciousness software…. This will be a place whereby you can come and bathe in the higher fifth dimensional frequencies of your avatar self…..enabling the reinforcement and implementation of this new programme on a very deep level. With regards to the twin flame current energetics, many of us twin flames are still being challenged to our core with regards to the earthly circumstances that we are finding ourselves in with our twins at the moment. When we signed up and volunteered to come to the earth plane to restore the twin flame template back to humanity we agreed that we would be extremely tested, that we may experience directly the reality of being a conduit for unconditional love and acceptance. Many in the twin flame community particularly the male matrix twins are dabbling in soulmates connections at the moment and this is leaving many female spiritual twins in a state of deep distress, however there is always perfection and a divine reason why things are the way they are, and one of those reasons is that the female twins are being asked to stand vibrationally in a place of unequivocal trust and faith in God's plan for her and her union, whilst being vigilant in the knowing that she has been granted responsibility to be guardian over her own boundaries. Many many female twin flames are being tested right now from the 3D perspective, but from the perspective of your 5D consciousness really there is no test regardless of how the 3D drama appears to be playing out with your twin right now. The truth is nothing has changed they are still your twin flame your telepathic links are stronger than ever and nothing can alter the fact that your twin flame exists within you at all times unquestioningly….. Beloveds this is the test so many are experiencing now, and the question is how committed are you right now to the knowing of the truth of your twin flame connection? My guides assure me that it is in the impenetrability of our trust that is the place where we will find swiftness and flow in the changes that are destined to occur for us within our twin flame unions…..Now it is important for us all to really listen deeply to our intuitive knowing with regards to what's really going on with our twin flame at the moment, and we will see that we are being tested from our 3D perspective, but really in truth there is no test from the 5D perspective. This is hard beloveds but not impossible, we must remember that we are the first generation to be fully fully awakened with regards to the full and complete implementation of the twin flame template en masse back to humanity…. This could be likened to a heavy dense forest that has to be cleared in order to allow the new seeds to be sewn….. Our generation has volunteered to take on vast amounts of clearing of our emotional and energy bodies in order to be the channels, the living channels to actualise and restore this higher dimensional sacred union template back to the core of humanity's consciousness……. We have so much work to do planetary and personally to be the conduits, the receivers of this extremely high frequency template and that is why it is appearing to take so long from our human perspective. One last reminder beloveds, when we attain the perspective of our 5D self with regards to the challenges we are seeming to face in our union currently, then we have the ability to transform timelines in the blink of an eye. Our understanding of time from our 3D perspective is a complete lie. Timelines respond and are created instantaneously purely through vibrational frequency and attunement….therefore if one aligns oneself with their 5D perspective this actually ensures a swift shift in one's current timeline ensuring that the thing we pray for comes easily and effortlessly to us through the law of attunement. in 5d consciousness we are attuned perfectly to the truth of our twin flame Union knowing that all 3D tests are simply that tests to see how stable we are in the 5D consciousness once the test has been seen to be not a test, this transforms our vibration and aligns our consciousness fully with our 5D avatar self, where we magically and intentionally can draw what so ever we wish or desire to us in an instant. let us remember that everything and I mean everything comes down to a choice Our perception is a choice…. and Enlightenment is a choice….. It really is as simple as that…... 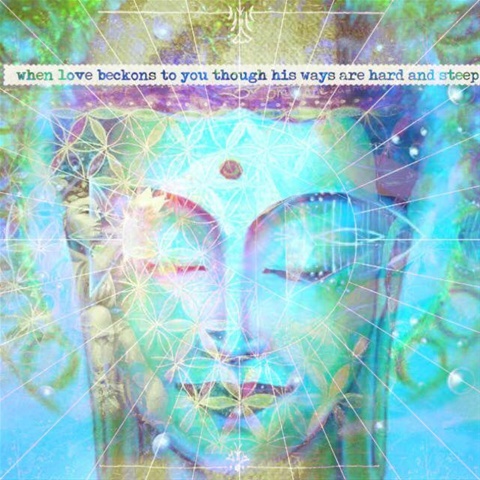 I pray these words have been deeply activating for you and have served to remind you who you truly are…... the ascended avatar 5D self that you truly are…..
We are all so deeply supported on this journey and I invite you to breathe that the truth into the deepest depths of your being….